Hey all! It's spring, which means that all clothing lines have been previewing and starting to release upcoming prints for their new collections. In vintage reproduction/pinup world, this is no different. I've been scouring ALL the sites and ALL their social media for a few months now, and let's just say that there's never a dull day when it comes to finding out what's down the line. I have readers that are both into retro ways of dressing, as well as readers who are more into modern trends but appreciate watching how I dress. If you're in the former, this is a great guide because I don't believe I left a stone unturned. If you're in the latter though, this is still a great guide because it opens up this world a little more and you can see how this niche style of dressing works from behind the scenes and maybe better understand why I love novelty prints so much, haha. And at the end of this rather extensive lineup, I share a few thoughts about where I think the vintage repo world is going, because they've definitely upped their game so it's hard not to speculate a theory or two. First off, I'm pleasantly surprised that their Mary Blair collection is getting a relaunch AND new takes on the designs and new designs in general are coming out. [I had a 'Lauren Blair in Mary Blair' segment going last year, which the archives can be found HERE if you need a refresh!] When I first heard they were doing some form of a Mary Blair "take deux" I was skeptical, fore if that had just done the exact same designs but in different styles I would have been underwhelmed (especially since I own a fair amount of the prints). But as photos keep surfacing on the yet to be released collection, I'm getting more and more intrigued. First, we have ELEPHANTS added to the mix!!!! (See below) My go to animal for prints and one of my faves in general! This is such an interesting skirt with a mixing of prints within it...I'm totally in love. They ARE in fact re-releasing some of the prints, but in totally different ways. Below you can see a green skirt that looks a little like the yellow train skirt, but it's a tugboat. And at least the lips and roses is getting a new color-way: blue. The first photo I used for this post also has a revamped plane dress, which is possibly more lovely than the first version. With the exception of a few Bernie Dexter prints, I don't usually own the same print in different colors, but this may be an exception to the rule. So sorry for the bad quality. I screen shot a small version of this from someone's collage of the various prints PUG uploaded to Periscope. But after seeing a green color-way and debating with friends what it is, it does appear to be a tug boat. Blue lips and roses dress. 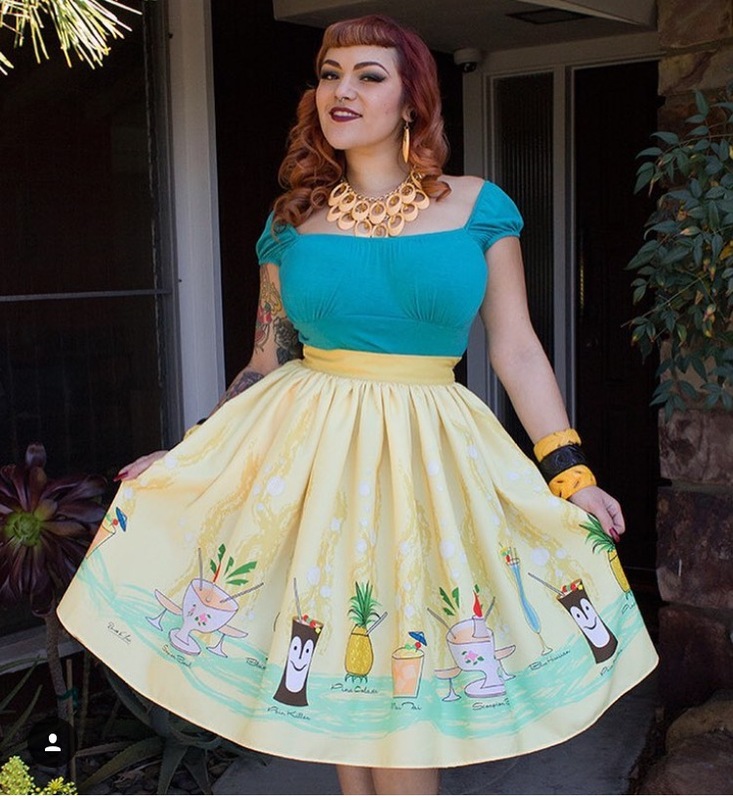 Tiki Jenny skirt that I know so many girls want but isn't being released yet. The popular Birdie dress is being released in this color-way...which is making me consider investing in a Birdie! I have the feeling they have EVEN MORE up their sleeve, as every week they tease something new. Luckily some of this is being released in the spring and other stuff, notably the Mary Blair collection, will be this summer. I'm thankful for this, otherwise it would be a total overload! Retrolicious' Instagram released the above photo in early 2016 and I've been dying ever since. A few prints have been out for some time, but my goodness! 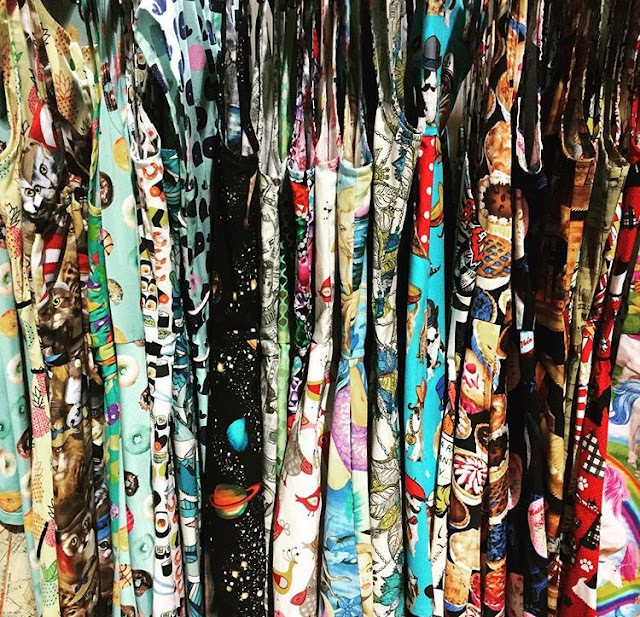 From what I can make out, it looks like they have mermaids, planets, pineapples, sushi, and other fun colors and prints that I can't totally make out coming our way! Retrolicious/Folter dukes it out in my closet against Bernie Dexter for most populated brand for a reason. How fun are they?? 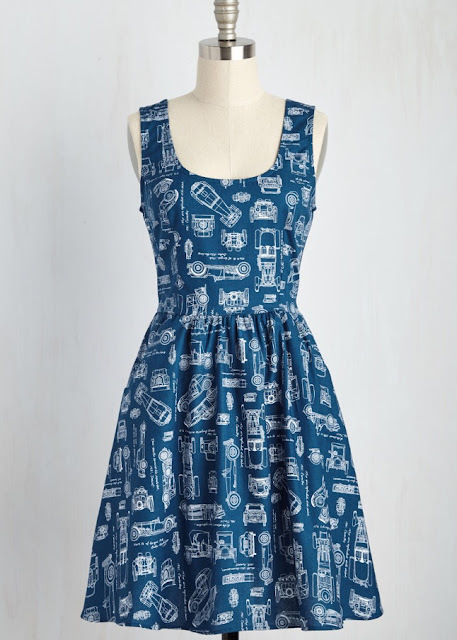 This map dress can be found HERE. Like my blogger friend Lindsey, I gravitate towards a lot of map themed clothing, so I'm dying over this one. I'm also a sucker for anything that is safari themed, and this print is utterly perfect. It looks almost floral or abstract until you give it a second look. Found HERE. Erstwilder has long been solid in the quirky and novelty brooch game, but the past few months they just keeping upping their strength. They had dinosaurs, this adorable collection below, and a newer one involving silhouette brooches and beauty product brooches. I almost can't keep up they're releasing so many amazing collections! ...speaking of, it looks as though Deer Arrow may beat them to the punch! I've always loved Deer Arrow, but they've also been upping their game quite a bit and moving past strictly vintage/atomic/cutesy brooches and thinking outside the box. 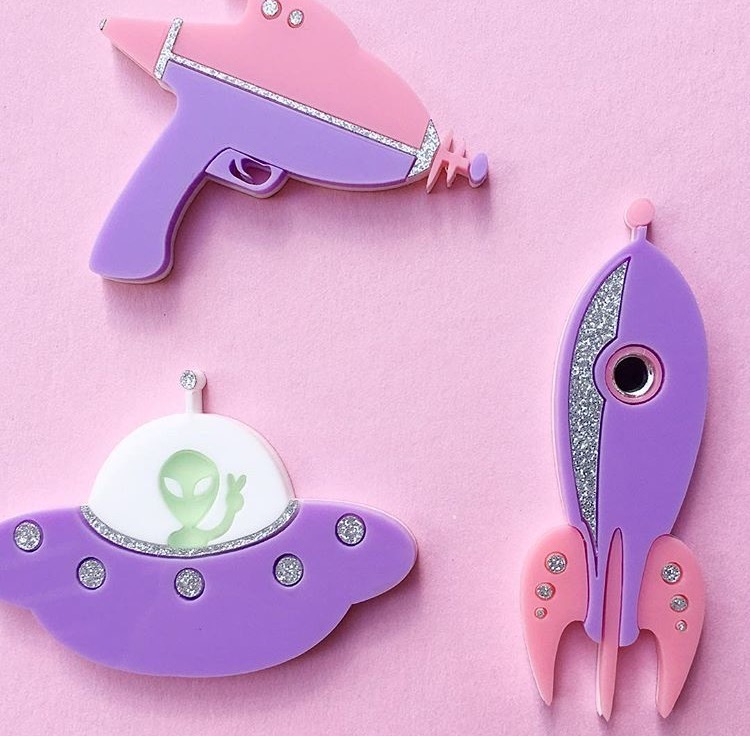 Just this week they previewed the above space themed brooches and an Audrey Hepburn inspired one (below). OMFG....please make a Grace Kelly brooch! Pleaaaaaaseee! What I love about her new releases is that she's walking the perfect line of kitsch and her special touch of unique-classic in different dresses. 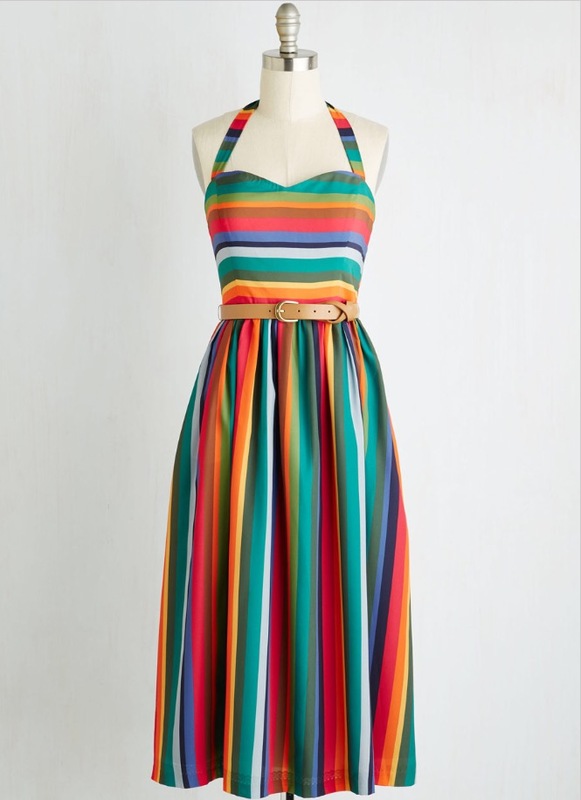 I think that's why I love the Bernie dresses in my closet so much; the quirkiest ones are very fun and done quite well, but the more subtle ones have beautiful and striking color ways and are classic in the best possible way. They're recently added a "Coming Soon" tab to their website AND they keep releasing other previews on their Instagram...and it's incredible. Tatyana has a few staples in my closet that I love, but they've become a sleeper hit company to me in that I am just loving them more and more with each year. There are so words to how beautiful this umbrella skirt is. NO WORDS!!!! Sorry for the bad quality; screen shots of slide shows and such. 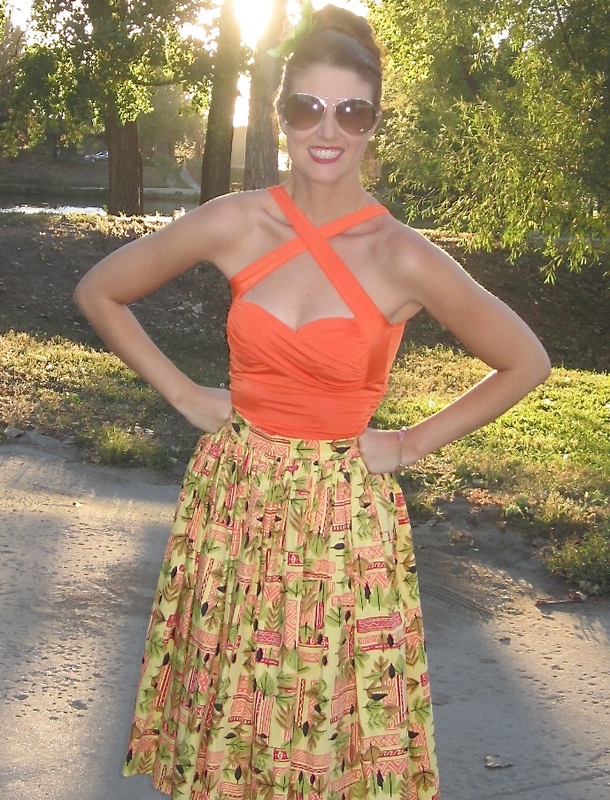 This skirt is the perfect combo of vintage meets a beautiful skirt from any decade. I'm so in love...! Guys...these shorts have purses on them....whoa. I'm really confused by the name, as Tatyana used to be Bettie Page Clothing but then lost the right to call themselves that through some licensing dispute. 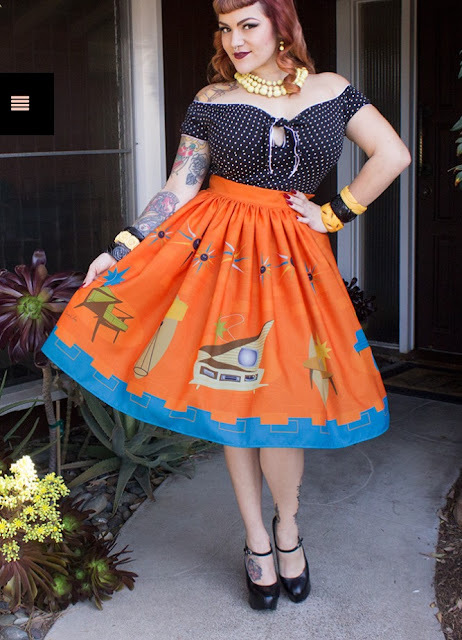 But whatever the case, Bettie Page is a company that currently operates and has vintage repo clothes. Above is all of the novelty prints that they are releasing through the spring, and they seem incredible. I thought I may be growing apart from ModCloth slightly, but with their steady influx of Folter/Retrolicious dresses and skirts and their relatively new namesake brand, I've realized we still belong together. They are 100% killing it with their namesake brand with amazing color-ways and novelty prints. 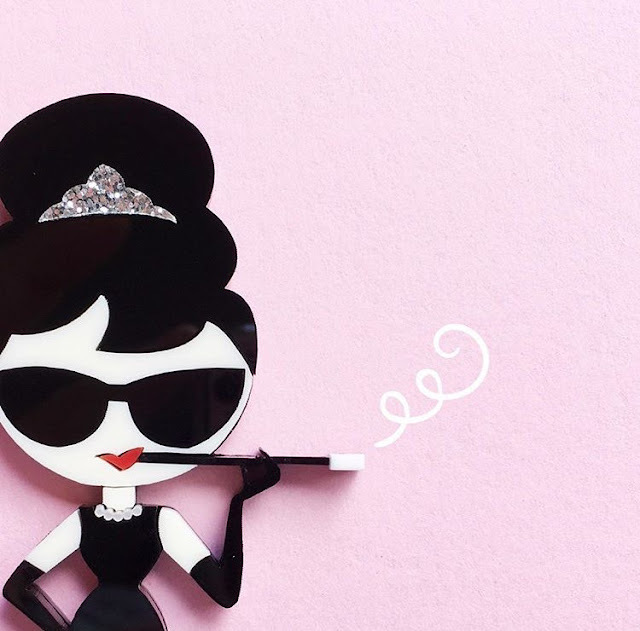 They are the perfect combination of modern meets vintage, but for the fun girl. For me personally, Hell Bunny has been kind of off my radar for around a year. 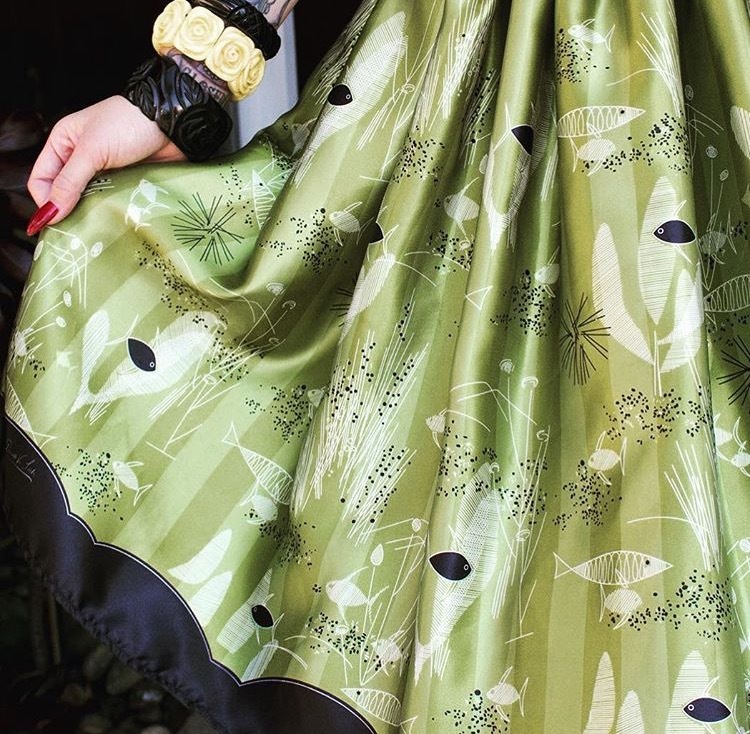 I loved their Scottie dog prints and the sea life prints, but despite being one of my early favorites in vintage repo world they fell off the map a tad for me in 2015. This year they have a few fun prints that they've been teasing and it's been slowly making it's way to various retailers (they do not have their own online store). Above are the print swatches that they released right before some of these began hitting the market. My fave my be the safari print (seriously, I'm a sucker for safari prints...I'll say it a million times over). 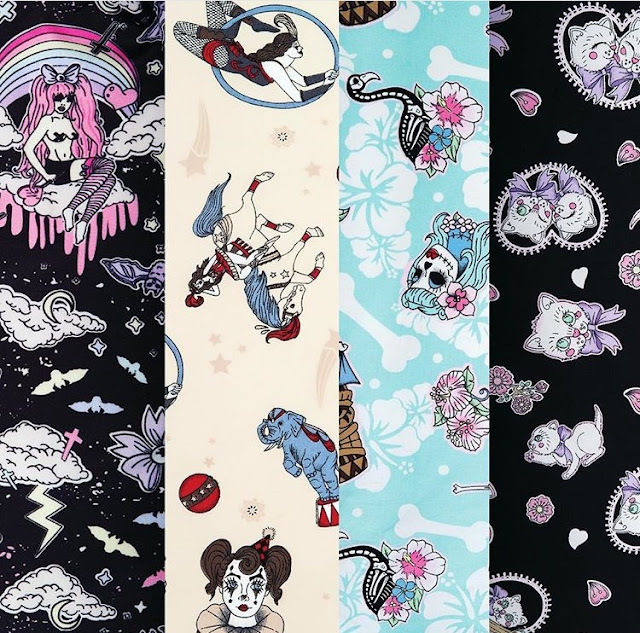 My friend Meredith pointed out the circus print to me a while back, but from only seeing swatch I gave it a "hard no" seeing that there was a clown on it. (I'm not "afraid" of clowns, but I do not "appreciate" them either). Once ModCloth uploaded this skirt to their site, I realized it's actually a lovely print and the clown is besides the point with everything else going on. 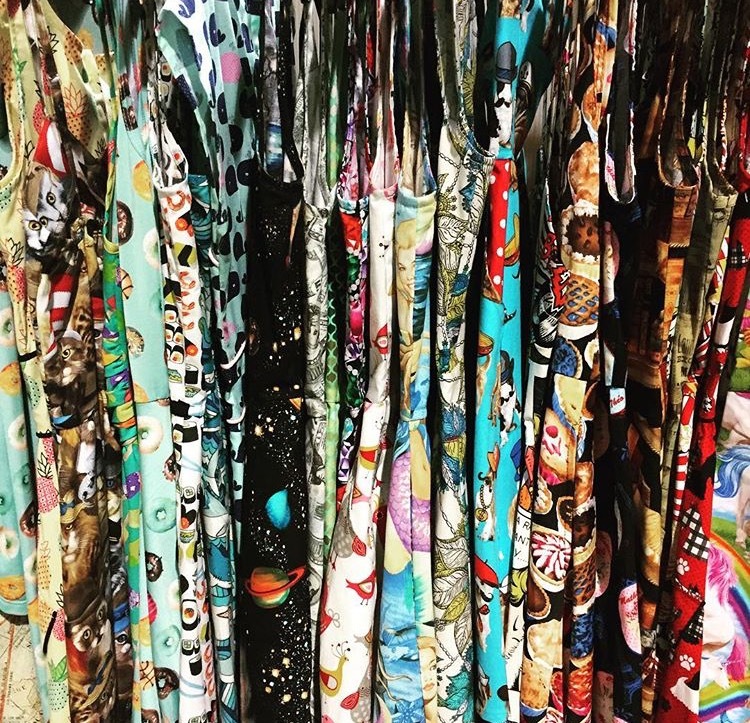 Unique Vintage always has a consistent line of merchandise that is both house brand and other brands that us vintage girls love. But currently these two house brand skirts have really caught my eye and have appeared to have outdone themselves. I think they're filling the perfect void of what the vintage market wants and what we maybe haven't seen yet. I know so many other girls who are freaking out about these two skirts too. (Found HERE and HERE). I may have saved my personal favorite for last...as The Oblong Box Shop ALWAYS kills it. 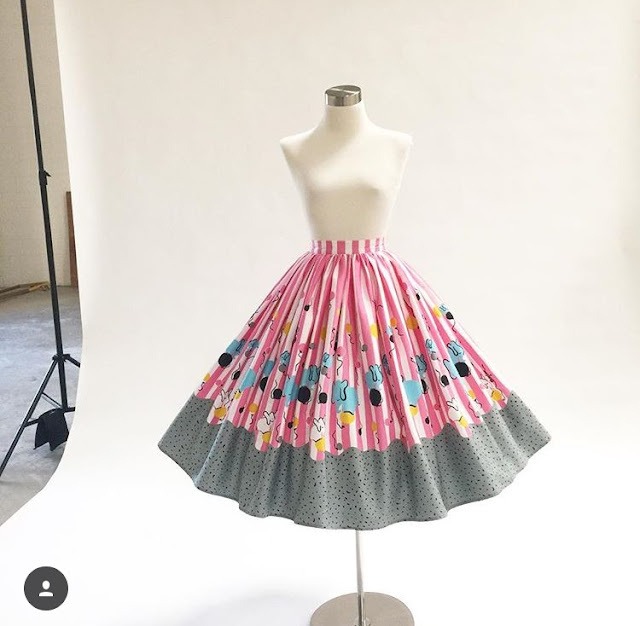 I did a post on The Oblong Box Shop a few months back (specifically about how much I love their skirts). And in 2016 they appear to be killing it! Earlier this year they did an exclusive pineapple release (above) through Unique Vintage and it's probably one of the more perfect summer prints out there. The below aren't released yet...but they should be any day now. Tropical drinks? C'mon. So awesome. Possibly my favorite. Vintage furniture print in blue and orange. Very unique in vintage print world. This fish print is based on the designer's vintage wall paper (how cool?!) and is her first foray into satin based skirts. I've discussed this with my style twin/bestie Meredith quite a bit. It feels like every company is elevating their game. They're figured out that a lot of us who have been in the retro game for years have our fill of solid colors, polka dots, and stripes...aka staples. To keep repeat customers they keep adding more and more beautiful prints, novelties, and color ways...and it's totally working. I remember last year being overwhelmed (in a good way) with the news of the Mary Blair collection from PUG coming, the new Oblong Box Shop original skirt print releases, and loving the Hell Bunny sea horse print AND their Scottie dog prints. THAT felt like a lot! This spring EVERY SINGLE COMPANY has a crazy original and gorgeous collection coming our way. It's honestly almost overwhelming...in a good way, but in the way that a loose tooth feels where the pain is fun. I'm super curious to see if through the fall and winter they keep upping their game, or if this really is just a fluke. What are your guys thoughts? 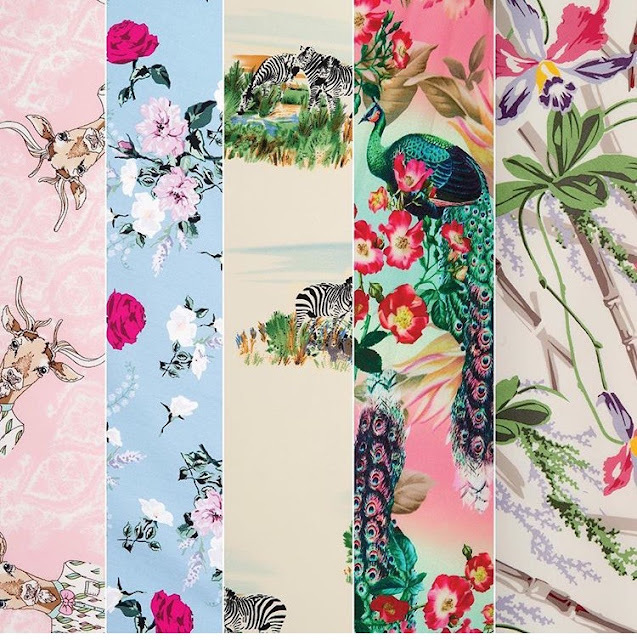 Did I miss any companies that is getting crazy in the best possible way with prints and patterns? I think my favorite thing about all these styles is the beautiful voluminous flare of the dresses. Vintage style has the prettiest silhouettes! Every single look is absolutely stunning. I would be hard pressed to pick one. But if I had to, it would be that first skirt........ Have a beautiful Easter weekend, doll. Wow, so many amazing and cute novelty prints! The pink ballet one really stands out and the drinks too. I don't think I could carry these off but can't wait to see what you find! Have a great weekend! Wow a very bright vibrant collection. I' totally lovin these prints. These prints are all SO fun! Thanks for teaching us about this whole retro world! I think my favorites are that watermelon skirt and the map dress! 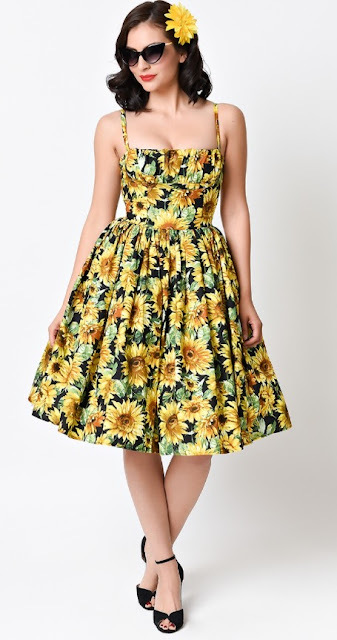 You did great guide with your favourites stores, Lauren,I really like that floral dress from Unique Vintage, it has beautiful print! So pretty prints and what a gorgeous dresses and skirts. 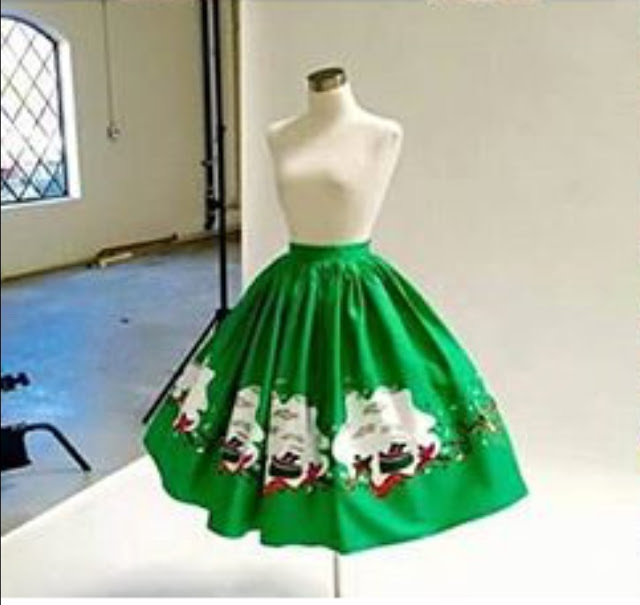 ah all these skirts are so dang cute! I am always impressed by how much you know about all the vintage lines and trends. Great info! Beautiful dresses! Looks so pretty! 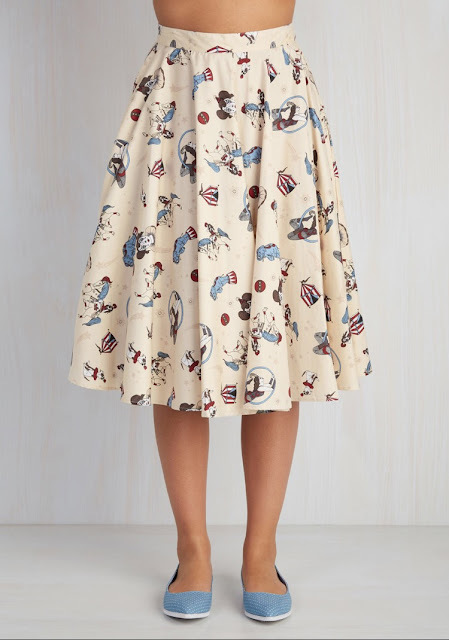 I don't wear vintage much but all the designs featured are so cute! 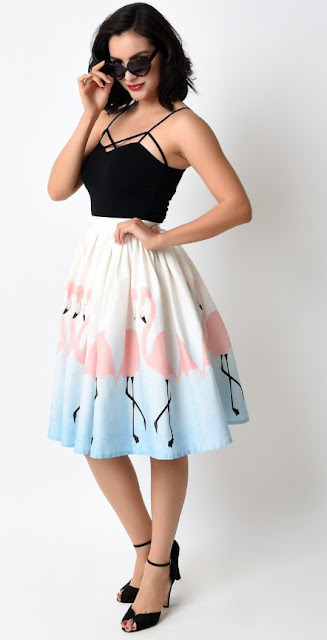 Especially love the skirt with the flamingo prints! I am so in love with vintage styles lately. Great inspo. Happy Monday! This is beautiful. I love the pin up style clothing so much. Great post. 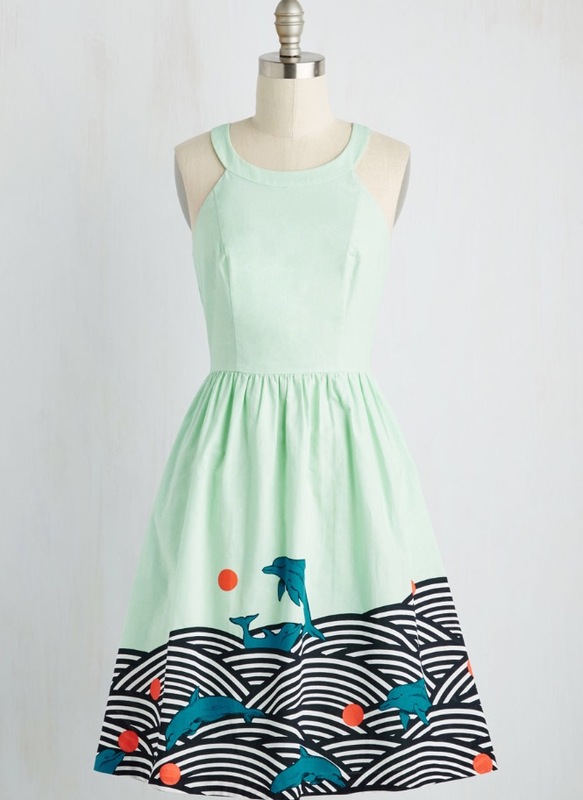 The Birdie dress is so darling! Love the retro style. Loved reading this post. I'm super heavy into Trashy Diva and so I don't spend too much time looking into what other companies are doing-- though if I see something I like I won't refrain from buying. That's all to say that this post was perfect for me! I love seeing what's in the works for everyone. I am excited to see what is coming out from PUG with their new Mary Blair collection and now super excited to see what old prints they are bringing back! That ballerina print is amazing! I hope that comes back. I'd also really love to see the fleur de lis print brought back as I stupidly missed that one the first time (even after it was on sale!). 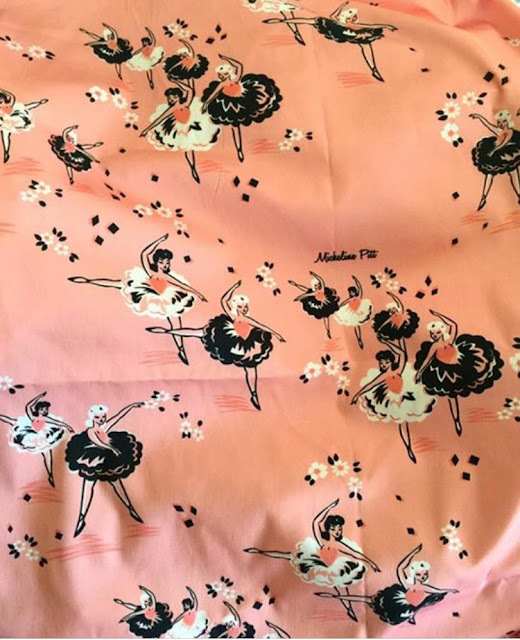 That colorway on the birdy dress is amazing and that pink and black dress is amazing! I LOVE it! I hear you on the Tatyana/Bettie Page thing. I noticed that there still was a company called Bettie Page but my guess is that it's the licensing company that came up with their own brand. I heard part of the problem between them and Tatyana was that they were trying to micromanage the company too much. I am looking forward to seeing what Tatyana comes up with. 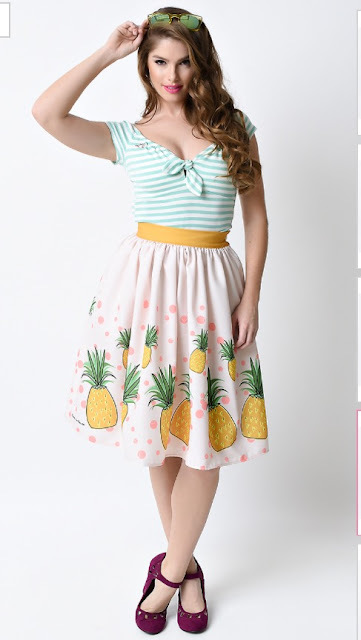 They were one of the first brands I fell in love with and their designs seem to kind of gone downhill a bit since they broke with the the name "Bettie Page" so I'm really hoping they will start upping their game more. 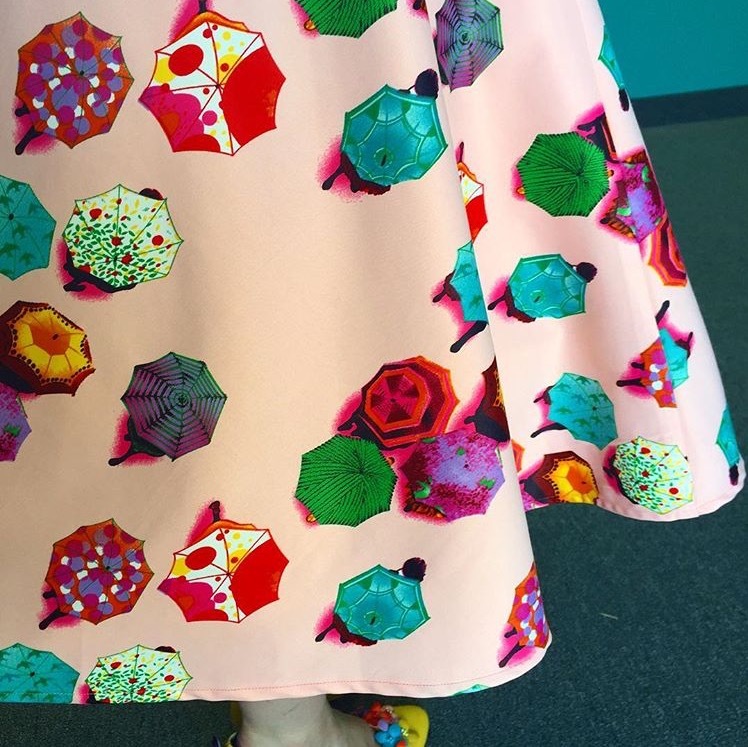 That umbrella print is so cute! I hope there will be more cute things from them this year. Thank you so much for posting this Lauren! So much great info! 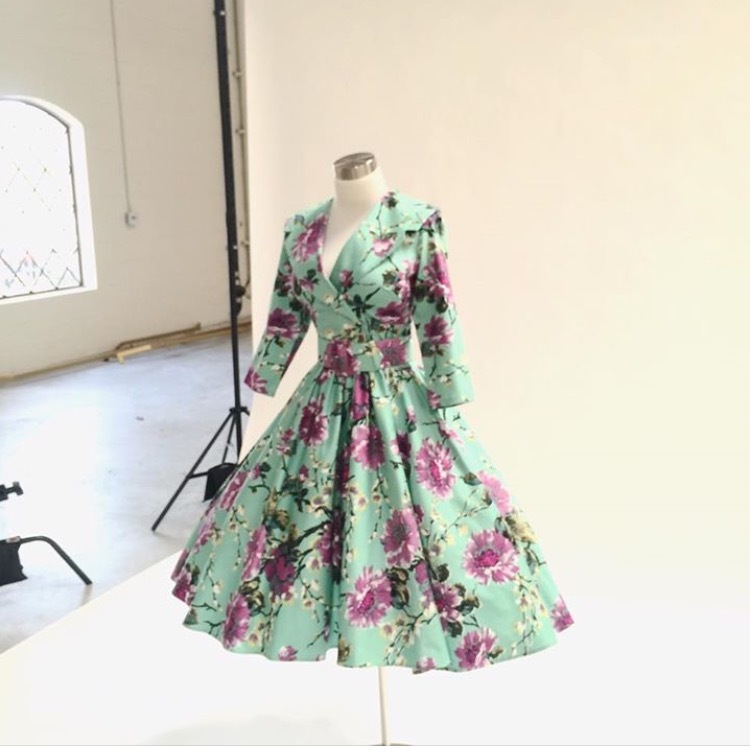 I am not a fashion blogger and definitely don't own anything vintage but wow, this collection is stunning! I especially adore the two skirts at the beginning if this post, seriously pretty! So many patterns, so much love, hard to even keep up sometimes but they keep sealing hearts. This is a very interesting and fun post. I really like your take on the retro world today and the fact that you seem to be on it with every retro brand. Love it! 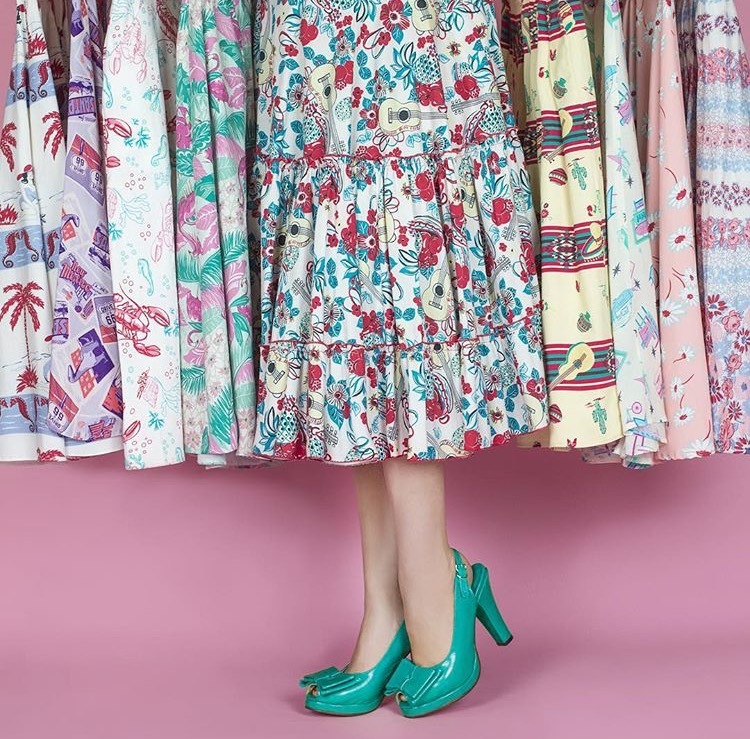 A few others - I feel Banned has really stepped up their game this year with the novelty border print skirts in various kitschy themes, as part of their new offshoot/specialty(?) brand "Dancing Days". 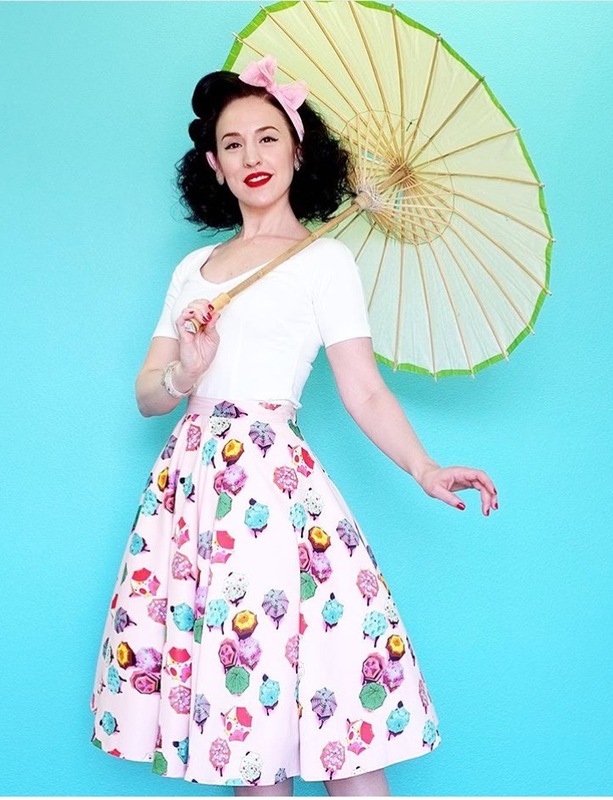 Collectif also has some gorgeous vibrant new pieces out already, or coming soon. And don't forget Voodoo Vixen! They've got some especially nice florals this spring.